My humble wish for 2012 was to get the Winter Site Theme after visiting the Advent Calendar for 31 days. I'd been wanting it for years and years, but school and work often interfered with my ability to log onto Neopets every day. 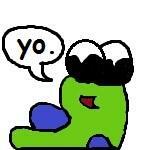 In 2012, I finally had my affairs in order, and I had plenty of time to play on Neopets with my best Neofriends! I have a great love of all things winter (my Snowager-themed side account won the User Lookup Spotlight), and when I got the Winter Site Theme in December, I was the happiest I've ever been on this website! So I began to wonder, what are YOUR humblest Neopets wishes? By humble, I mean wishes that don't require a lot of Neopoints to fulfill. For instance, my Neofriends are wishing that the Neopets they applied for will finally be granted to them. Other Neofriends were excited about the Holiday Dream Neopet Giveaway in 2012, hoping for a chance to transform one of their Neopets into their dream color and species. 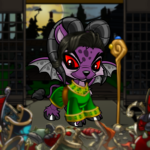 (I entered too, hoping for one of my side account pets to be turned into a Chocolate Draik.) If you were one of the lucky ten to be chosen, you woke up to your dream Neopet on the Day of Giving, December 25th! I asked the Winter Starlight Celebration Neoboard in 2012 what their own humble Neopets wishes were for the 2012 holiday season. Thinking this would be a sparkling and refreshing topic to report on when the weather got hot in the spring and summer, I recorded everyone's holiday wishes on a petpage. As it turned out, I got plenty of interesting (and sometimes hilarious) replies! The first user to post said that she wished she could live in Neopia for real! She said that she would totally trade her real life for the life she has here on Neopets. I have to admit, I giggled a little, then typed back that I totally understood. To me, Neopets is a form of amusement that always picks me up after a hard day of school or work, and there have been many days where I'd play on Neopets all evening long instead of eating dinner! Multiple users wanted to earn more trophies. I happen to be rather atrocious at games, so I admired their elite skills very, very much. I hope they get all the trophies they want! Avatars was another popular answer, with people drooling after their favorite Neoboard pixels! One user said she hoped her foster pets (pets that people zap with the Secret Laboratory Ray until they become painted pets to be put up for adoption) would find terrific new homes with kind and loving owners. As a fellow zapper who gives away her painted pets on her side account, I understood her desire to find the best possible homes for her pets! This past April, I broke my foster pet record -- I gave away 7 pets in April, a huge leap from my previous record of 4 pets in a month. Another user wished that her best friend would return to playing on Neopets. Neopets, according to this user, simply wasn't the same without her best friend playing! I hope her best friend returns to Neopets. This website is too much fun to ignore, even if it just means doing five-minute dailies in the morning. Real life tends to take up a lot more time the older you get, but the beauty of this website is that you can invest a little time or a lot of time, depending on your preference! I personally do dailies every morning, then chat on the Neoboards in the evening. Dailies are incredibly fun, while chatting is a great way to unwind and laugh at the end of a busy day. Luckily I have around 20 Neofriends to chat with every day, and our Neomails back and forth to each other always make me double over laughing! Many users wished for more Neofriends. Others wished for busier Neoboards. It seems we're all social butterflies! That inspired me, and I realized that all of the Neofriends I have on this website might not realize how much I love and respect them. I've decided to send special, heartfelt Neomails to all of them, which I hope will uplift their Neopian lives! One user was hopeful that her pet would win the Beauty Contest! As a fellow user with a sketch book filled with Neopets and Faeries, I can totally understand her desire to win the contest! I don't have a scanner yet, but as soon as I do, I'll be seeking votes on the Neoboards for days and days! One of the users agreed with me, and wanted the Winter Site Theme as well! She was a 9-year Neopets veteran... Looks like she was wanting the Site Theme even longer than I've even been on Neopets! She also wanted Boochi to visit her side account. I have to admit, I'm not the biggest fan of Baby pets, but it would be pretty nice if my foster pets got zapped into Baby so that I could give them away to some very excited and deserving users! Some users on my thread wished for lucky Secret Laboratory Ray zaps. 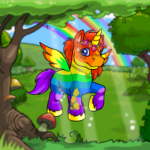 Everyone had a different dream pet, but I think we can all agree that ANY color and species zap from the Ray is tremendously exciting! Other people were resolved to finish their pets' characters, stories and lookups. I have to admit, their eagerness triggered a desire in me to do the same for my own pets! I plan to find some premade pet lookup codes, then personalize them with personally written poems and stories. Maybe sometime in the future, when I have a scanner, I'll also be able to upload hand-drawn pictures for all of my Neopets! Getting into the Neopian Times was another popular answer. Many people were wishing for just one Neopian Times trophy to display on their lookups! I gave them all a hearty good luck and a virtual hug! I have to admit -- after reading everyone's opinions, I realized that I am blessed every day with the opportunity to play on Neopets. I realized that my favorite part of Neopets is the dailies, and they take up the happiest five minutes of my morning. Most of them don't even require any Neopoints to play! Thank you, Neopets, for being an inexpensive and truly entertaining part of my adult life! I will always be so, so grateful! One of the users on my thread, when asked her about her Neopets wish, said it best: "That everyone on neopets and in real life have all there[sic] wishes fulfilled! Happy Holidays, everyone!" Happy holidays indeed! I hope everyone's Decembers were fantastic! Thanks for reading my humble little article! And many thanks to the users on the Winter Starlight Celebration Neoboard for their effusive replies! I could never have written this article without their thoughtful comments and opinions, and I'm truly grateful for their help! Goodbye, my fellow Neopians, and I hope all your dreams came true this past holiday season! May you enjoy every day of 2013!